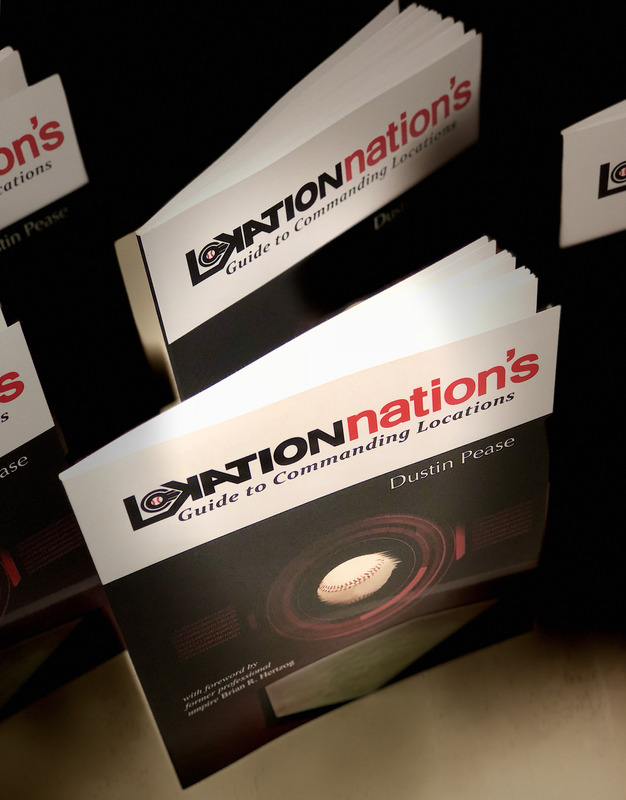 When you purchase a copy of Lokation Nation's Guide to Commanding Locations you'll receive a FREE Lokation Nation Dri-Fit T-shirt ($30 value & no shipping cost). We want to spread a credible train of thought into the culture of baseball, and that command and location is what brings ultimate success in game performance. We want more pitchers, coaches, parents, and recruiting to represent what being a successful pitcher truly means. Who and what age level is this E-Guide designed for? Parents trying to help your 8 year old throw strikes. Why your mindset doesn't allow you to have control, let alone command. When it comes to true command, it comes down to accountability - and you don’t have nearly enough. How an umpires perspective can change the way you see the strike zone, and your ability to establish it. A scientific explanation by Jason Shen, who holds his Masters in Biology from Stanford University, explains the Neuro-Science behind Myelin in the brain, Myelination, repetition, and its effects on movement potential, efficiency, and execution. How certain levers within your pitching motion may be negatively affecting your ability to control, or command. Also something as simple as your fastball grip can be a negative effect. A detailed look at a Lokation Nation designed strike zone grid, to provide a better visual of exactly how and where you should be executing your pitches on a consistent basis. The significance of your relationship with your catcher, as well as his ability to present pitches you are throwing to locations. Why you aren't visualizing the right things. Part 2 of the manual displays a 6 week fastball command guide. By the end of the 6 weeks, following the guide closely, you will vastly improve your your consistency in executing locations in the strike zone. It will take work. The fastball command guide can be applied to other pitches. The end of each section contains anywhere from 4-8 steps to walk you through how to achieve what you read in the section. Umpired nine seasons in professional baseball from Single-A to Triple-A across the Pioneer, South Atlantic, California, Arizona Instructional, Texas, Venezuela Winter, and Pacific Coast Leagues. His company, Official Business LLC, brings an official’s unique view of the game over to player development. Lokation Nation's 40 page E-Guide is dedicated to baseball pitchers who are looking to improve consistency in pitching location, accuracy, control, command, precision of the strike zone, and total grid. Dustin's system for gaining true command is the first of its kind, and was formulated over the culmination of his 16 year career in baseball as a left handed pitcher. This is a guide completely dedicated to the art of pitching command training, and the steps necessary to achieve this skill at a high level. The guide also contains content on Dustin's philosophy on velocity improvement coined as "velo-stacking", which can aid any true commanding pitchers ability. Gaining true command of pitch locations is a technical skill, the mentality affects the physicality of this process, and this guide helps pitchers to find that medium. Dustin's mission is to help aspiring pitchers achieve a high level of success, and his dedication to the mission is scoured throughout the E-Guide. If you don't love what you read return it for a full refund. E-Guide contains a 9 minute video in the mechanical cue section. Android: Download the free XODO app. PC / Windows: Updated Adobe Acrobat ReaderUpdated Flash player"Trust Document always"